Terra Winston ‘00 in front of Sabin House. 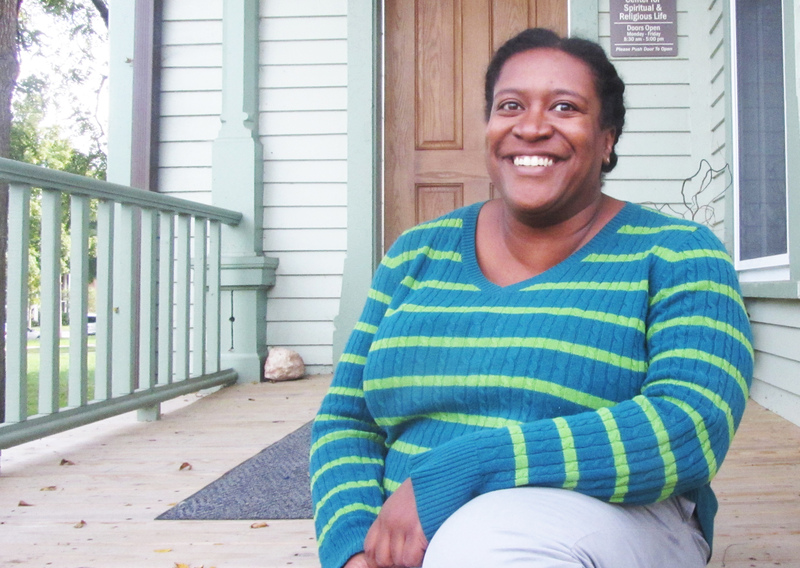 In August, Terra Winston ‘00 returned to the Lawrence campus to fulfill a dream by taking on the position of Associate Dean of Spiritual and Religious Life. Though she had majored in religious studies and minored in philosophy, Winston noted that as a student she had not personally been very religious. However, following her graduation from Lawrence, Winston attended several graduate schools and eventually was ordained as a Presbyterian minister. “After I got ordained I was hoping that there would be something like this at Lawrence, and so in that way it’s been kind of a dream for something like this to exist and for me to be a part of it and to engage with students,” Winston explained. While this series is still in the works, Winston will also be leading some meditative exercises in the upcoming weeks exploring the intersection between spirituality and water. This series will be running on Wednesdays from 5:15-6:45 p.m. during the weeks of September 26 and October 3 and 10 and is open to anyone who wishes to meet at Sabin house. Winston will initially lead participants to the Fox River to simply sit and reflect on what the experience brings up for each individual. The next week will be focused on the fountain in the Wellness Center Mind Spa and the final week will consist of meeting in Sabin simply to look at images of water and discuss how it affects the participants. Winston brings in several years of experience as a human rights worker to help her in facilitating these discussions. Having worked in the Middle East to help local grassroots organizations be heard in the ways which they wanted has helped Winston gain the skills to help Lawrence do what is needed to undergo these kinds of conversations and listen to all voices. While Winston focuses on these activities, she is also highly invested in getting to know the Lawrence community so that everyone feels welcome at Sabin house. “It’s really important to me to be sincere and be relational,” Winston said, and indeed her open friendliness and eagerness to attend concerts, sporting events or any campus activity where she can interact with students in their favorite environments makes it clear that Winston will be a welcoming presence to any who come through Sabin house. As a student herself, Winston loved to attend concerts and participated in several sports, making it easy for her to join in again with the community. Regardless of religious views (or lack thereof), Winston hopes that students will use Sabin house as a place to find tranquility. “I find lots of people here that don’t have a particular religion or particular world view that just want a quiet space to be,” Winston said. At the time that Winston attended Lawrence, there wasn’t a space like Sabin house for students to have these calming and nurturing experiences. “There wasn’t a real space that I can think of that was like a space to go and connect regardless of what you think and renew yourself,” Winston recalled, and went on to explain that students had to find a space off campus, or walk in nature as she enjoyed doing, in order to have that space.